“It’s important to recognise that Birmingham has a radiant music and culture scene, which is often thwarted by the stature of cities such as London and Manchester. “Our aim was to prove that Birmingham does actually exist and in order to do that we felt that we needed a platform which allowed us to promote the hundreds of local artists out there. In this time we’re proud to have worked with a number of leading local institutions, and we have formed a successful connection with Aston Villa Football Club, for whom we are their Official Local Music Provider. We handpick the best in local music to be played at Villa Park across the PA system, and for three successive years we curated the live music stage at the Aston Villa Kit Launch Festival. Alongside the everyday running of the magazine, Counteract also hosted gigs and club nights in Birmingham up until 2017. Bands to have played live Counteract events include Crystal Fighters, Peace, Swim Deep, Jaws and Wolf Alice. 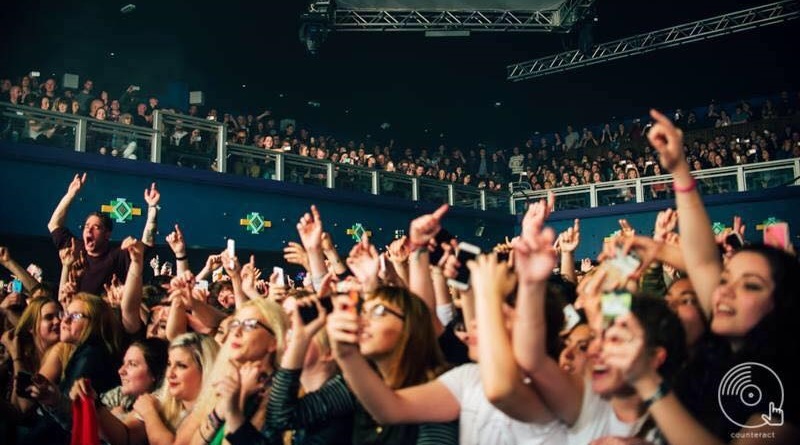 Venues we’ve recently used include O2 Academy, O2 Institute, Hare & Hounds, The Rainbow and The Sunflower Lounge. At the tail end of 2018 we decided to change Counteract in order to provide a wider coverage to the people of Birmingham and the West Midlands. Throughout 2019, we’ll be implementing new features and topics, including food and drink, film and TV, travel and more news, while still covering just as much music as we always have. Counteract is changing – and we’d love you to be part of the ride. Counteract is online at www.counteract.co and can also be found on Facebook, Twitter and Instagram.